Cleaning your windows takes you a lot of time and exhausts you? 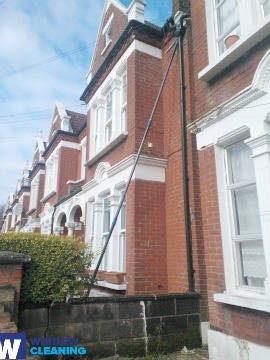 You can do something different now – just call our operators and order our window cleaning in Dartmouth Park. We will deal with this matter for you and the final result will be perfect for each part of your windows – glass surfaces, frames and ledges. With our support, you will have the freedom to do everything you like with the time you usually spend for window cleaning. And our services will bring you even more, as you can see from our list of advantages. We also provide our professional services in nearby areas: Hornsey Lane, Highgate, Kenwood House, Belsize Park, Upper Holloway. You can rely on the team - they are one of a kind specialists of window cleaning. They all have passed through diverse training, so you can get efficient assistance for all glass surfaces types. What we can wash includes: single, double, garden windows, bay or sash windows, patio doors, French doors, greenhouses and skylights. Your property can become better quickly with our assistance. Call us any time you need efficient window cleaning for your home or business. You will have perfectly looking office with the help of the specialists of commercial window cleaning. You can count on our high end services for all kinds of business premises. For instance, if you have a small shop, we can thoroughly wash its windows by using our water fed extension pole system – it helps us to as high as the fourth floor. If you search for spotless look for the glass panes of a tall business property in London and the nearby areas, we will put in use our rope access gear. In any case, you will get excellent results in no time. We are happy to use the latest techniques to make sure that you receive the finest window cleaning. The glass surfaces of your property are going to be spotless after we use water-fed extension pole cleaning system and jet washing on them. We use our vehicles to supply the poles with water and we can reach as high as the fourth floor. In case you need washing of highly-placed windows, we have rope access window cleaners on hand. Call us on 020 3746 3113 and get in touch with us – these great procedures will bring you results right away. With our fast and efficient residential window cleaning in Dartmouth Park, you will enhance the look of your home immediately. We utilise purified water for inside and out cleaning of your windows. We make this possible by standing on the ground with the help of water-fed extension pole system, which is safe both for your dwelling and the cleaners. Get more information – contact us on 020 3746 3113 or complete our online booking form. You can also use our chat alternative. Our assistants are active 24/7 – you will get answers to your questions. You can be one of our content customers today!